Jon "Bones" Jones is just weeks away from making his long-awaited return to the octagon at UFC 232 on December 29, when he'll face off against Alexander Gustafsson for the UFC Light Heavyweight title. Ahead of the much anticipated bout, Jones recently sat down with ESPN’s Ariel Helwani for a wide-ranging discussion in which the 31-year old fighter openly spoke about his legacy in UFC, the biggest regret of his life, and another match against Daniel Cormier. Jones, who is fresh off a 15-month suspension for a positive drug test, also admitted he still drinks and smokes weed every once and a while as well. Though not completely sober, he says he is "at a very healthy place" heading into next month's title fight. 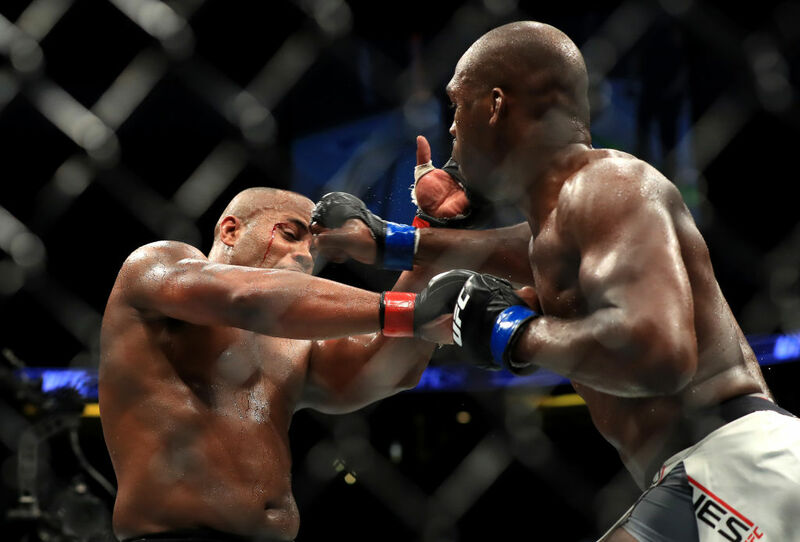 Jones hasn't competed in the UFC since July of 2017, when he defeated Cormier by way of a third-round knockout to win the light heavyweight title back at UFC 214. The result was later ruled a no-contest due to Jones' failed drug test, and he was suspended for 15 months for violating the UFC's anti-doping policy for the second time. Cormier is currently the Heavyweight and Light Heavyweight champion, but he'll be stripped of the Light Heavyweight title as soon as Jones and Gustafsson begin their fight at UFC 232 at T-Mobile Arena in Las Vegas. You can check out Jones' full interview with Helwani in the video embedded below.